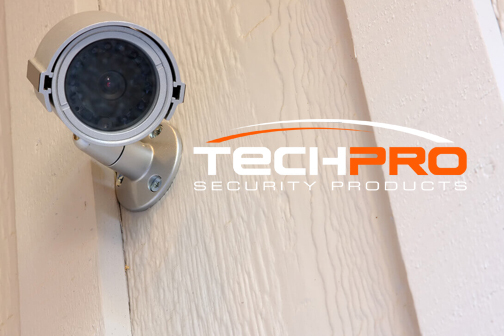 Installing a security camera system is an important decision that should not be taken lightly. Security camera systems require precise placement in order to be effective at surveillance monitoring and threat deterrence. For this reason, it’s best to consider hiring professionals to perform a commercial security camera system installation. Nowadays, video surveillance systems are commonly found at most business locations and commercial properties. The reasons for their popularity revolve around the various benefits that having a video surveillance system provides these business owners and property managers. In fact, there are few industries in which a commercial security camera system installation could not provide security benefits. However, in order to enjoy these benefits, security camera placement and surveillance technologies must carefully be considered. Unlike simple residential security camera installations, a commercial security camera system installation has many more complex challenges. Fortunately for South Florida residents, TechPro Security Products is here to help. Our professional security camera installation company specializes in custom surveillance solutions that precisely meet the needs of every client. Learn more about how we can help below or contact us at 561-922-8416 to speak with a technician today. Whether you are in need of a brand new video surveillance system or are interested in upgrading your current security camera system with new security devices and technologies, it’s best to get expert advice. There are many factors that need to be taken into consideration if you want to get the most from your investment and actually achieve the peace of mind you are looking for. Simple mistakes during a commercial security camera system installation can essentially render parts of it ineffective, if not completely useless. Everything from lighting and security camera placement needs to be carefully planned for the security camera system to achieve a high level of security. Moreover, every individual camera’s field of view has to be appropriate to the setting it is monitoring. Without understanding these factors or blatantly ignoring their significance, you could be putting yourself at risk and not receiving the benefits you hope to enjoy. To supplement a commercial security camera system installation, there are also new video surveillance services that should be further considered. For instance, with remote video monitoring, your property can be secured by professional security guards for a fraction of the cost of traditional on-site guards. Remote video monitoring services work by tracking all security threats using intelligent video analytics and immediate alerts. Professional security guards use their training to assess each security situation and enact the most appropriate measures to intervene and deter crime from happening. The absolute best way to ensure you gain all of these benefits is to work with a professional security camera installation company with experience in every one of these fields. You get access to top-level suppliers with the latest security products and surveillance technologies as well as better warranty options and guarantees that you would if you chose to perform the installation yourself. Knowing that you are working with a professional security camera installation company that understands every facet of the security and surveillance industry will be paramount to ongoing success. It’s important to look for a reputable company with years of success working in the commercial industry. You should also keep in mind that having an ongoing relationship with the security camera installers will benefit you in the future. The ongoing security camera maintenance costs can be worked into the initial assessment, helping you to make the most of your investment costs. It’s also important to know technical support will play an important role, as well. As such, you should look at what technical support services are offered to supplement your project after the commercial security camera system installation is complete. Here at TechPro Security Products, we are proud to say we can answer all of these factors with a resoundingly positive answer. Our professional security camera installers have the resources and know-how to complete all surveillance installations as promised. We further stand behind this promise with a guarantee to each of the clients we work with. If you are looking for a professional security camera installation in South Florida, get in touch with our staff. TechPro has successfully implemented custom security solutions for a diverse variety of industries, all of which have unique security needs much like your own. Contact us to get a free security camera assessment and begin working toward the solution you need to gain the peace of mind that you deserve. For more information about how we can help, fill out our contact form to notify one of our staff members or call 561-922-8416 today to speak with a member of our team directly.